Acupuncture Specialists of TampaBay is part of BEYOND the Needle. Specialty Acupuncturists spend additional hours focusing on their area of expertise. 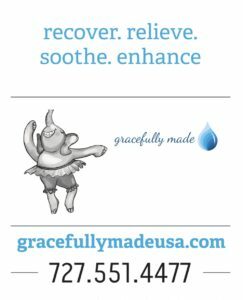 Pre and Post Partum Care , Pain, Gi Disorders, Infertility , Stress and Anxiety, Autoimmune, Cancer, Skin Problems, Allergies, Arthritis, Respiratory, Depression, Fibromyalgia, Headaches, Insomnia, Hormone Imbalances, Addictions and More. Acupuncture for addiction has been in the news and research with astounding evidence that Acupuncture can help! One of our acupuncturists that has studied beyond their degree will be very well versed in your condition and will listen to you. WE ACCEPT MOST INSURANCE. Please contact our office to determine your benefits.